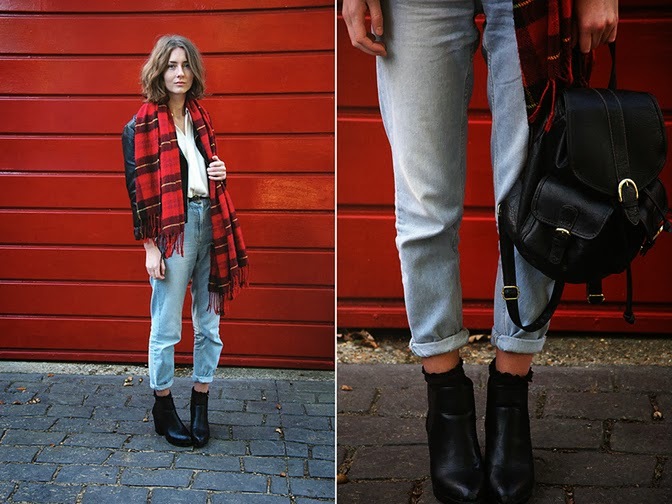 Inspirational: Love for Plaid - Tartan is Trendy! | Memorable Days : Beauty Blog - Korean Beauty, European, American Product Reviews. Inspirational: Love for Plaid - Tartan is Trendy! You might have noticed it already since I think that every store has plaid clothing in their assortment at the moment. 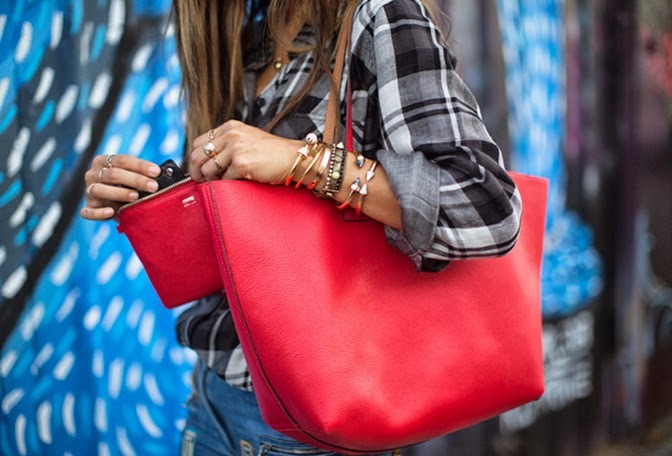 Yes... Tartan is trendy again and I'm in love with it! In this blogpost i'm giving you some inspiration - you will see some ootd's from fashion bloggers and these are definitely wearable pieces, so check it out! 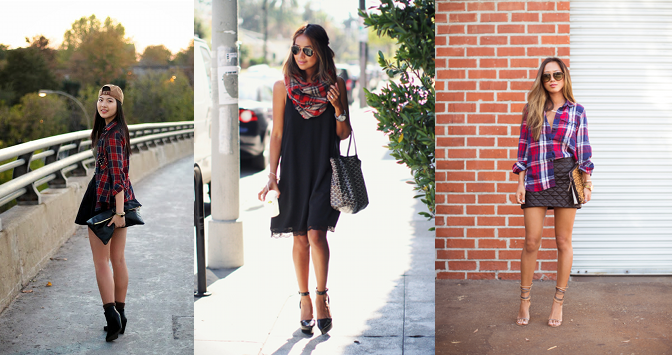 I love how simple this look is from Jules (SincerelyJules.com). She has paired a plaid scarf with a simple black dress. 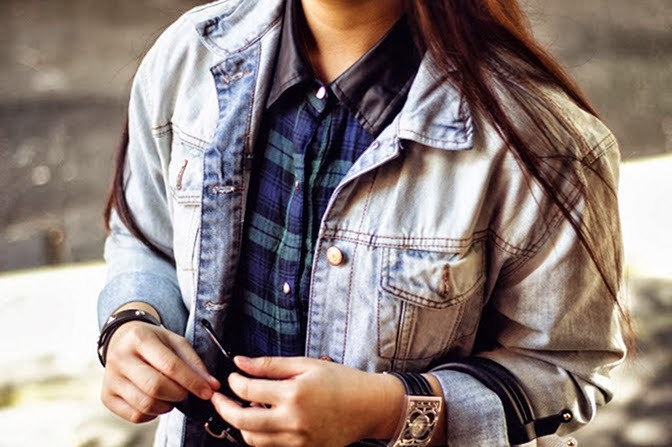 This famous fashion blogger songofstyle is rocking the plaid blouse! I love how she matched it with a red bag, it just gives her outfit more color. She's actually rocking everything that she's wearing haha. I'm following her on instagram for a long time and she is definitely a person who likes all styles. It doesn't matter what she's wearing, everything looks good on her. Rachel is mixing the plaid pattern with a denim jacket! It looks comfy and casual, i like it ^^. Xenia from Fashion Nation has created a boyish look and paired it with a plaid scarf to give the outfit a bit of a color. This is definitely a look that I see often in Amsterdam! I have this scarf myself as well and i love it <3! Dahye from Hey Dahye has paired her plaid blouse with a crop top, cap and a cute skirt. It's cool and girlish and i'm loving this combination! Unfortunately it doesn't really suit me haha. Also Claudia from Holy nights has created a look with a plaid blouse. She's pairing it with a black dress and a legging. This sure is a look that I would wear on a normal day. This is Youtuber Kri, she has a very wicked style. Her attitude is a bit boyish but she wears lots of edgy but also girlish outfits and this is one of them (see pictures below). She has paired a faux leather coat (with a plaid pattern) with a black skirt and a grey shirt. WHAT DO YOU THINK OF PLAID CLOTHING? YAY OR NAY?